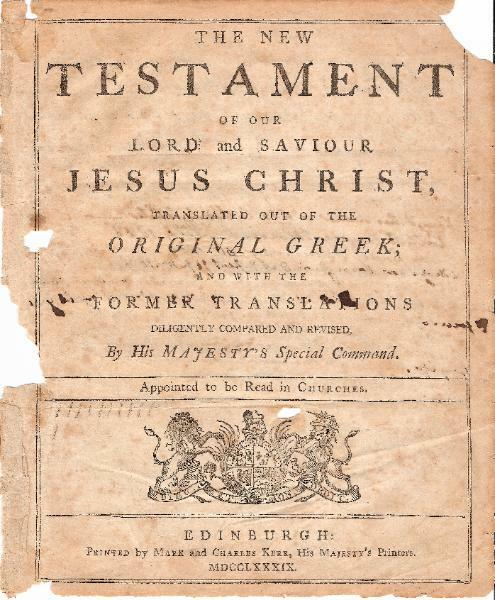 Holy Bible in English; Mark and Charles Kerr, Edinburgh 1789. 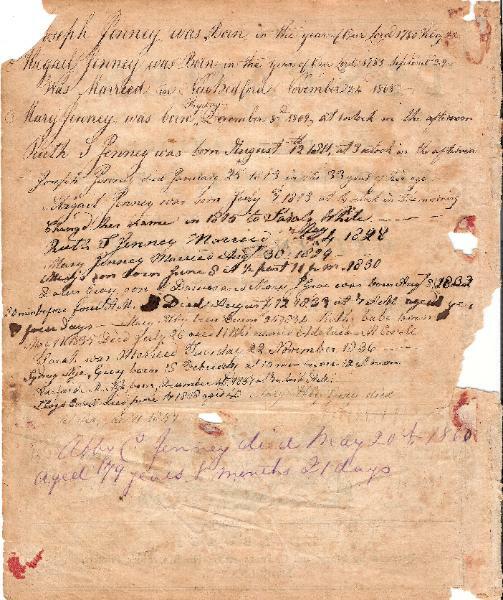 The Bible page is now in the possession of the C. G. Brisee Genealogy Library, Irwin, Iowa. after the death of her father, changed her name (first and last name) at age two. Adelaide M. Nye born December 15 1837 at 7 oclock AM.